They don’t ring a bell at the top and tell you to get out, but I have to say that I’m pretty sure that I can hear something. I’m not sounding the alarm on the entire market, but I think it is past the point where buying certain very popular technology companies is a good idea. In fact, I’d go as far as to say that you do not want to own this group of companies today. I mentioned that there isn’t anyone who rings a bell for us at the top to tell us that it’s time to sell. That isn’t fully accurate, because there are always signs. The trouble with those signs is that while they are very obvious with the benefit of hindsight, they aren’t so easy to see in real time. 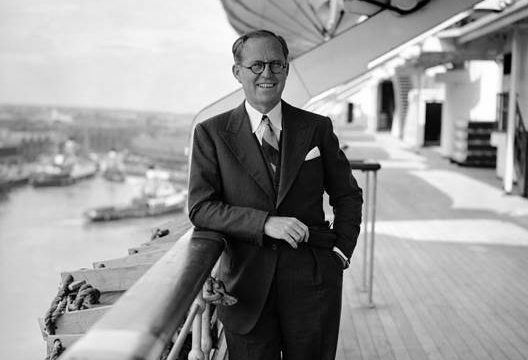 In 1929, JFK’s father Joseph Kennedy Sr. picked up on one of those subtle signs and didn’t just get out at the top, he scored a massive windfall on the way down as well. After having made a bundle owning stocks in the roaring bull market of the 1920’s, Joe Kennedy Sr. found himself needing to get his shoes polished up. In fact, he didn’t just get out of the market, he aggressively shorted it — and got filthy rich because of it during the epic crash that soon followed. They don’t ring bells at the top, but apparently when shoeshine boys start giving stock advice it is time to head for the exits. And for a handful of the most popular stocks, fun doesn’t do it justice. The party has been positively off the chains. 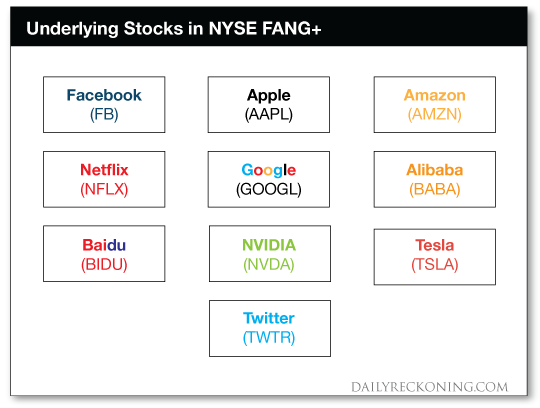 The stocks that I’m talking about are the FANG (Facebook, Amazon, Netflix and Google) stocks plus a few of their friends (Tesla, Alibaba and others). 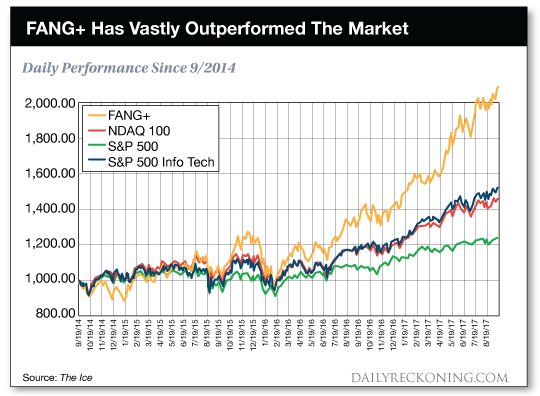 These stocks have vastly outperformed the market during this bull-run. Where Joseph Kennedy Sr. had his shoeshine boy moment for the market in 1929, I believe that a similar warning sign arrived for FANG and friends this summer. Remember, they don’t ring a bell at the top but there are signs. It is marketed as a benchmark of today’s tech giants. That may be true, but it is also a benchmark of some of the most expensive stocks in the entire S&P 500. Yes, I’d love to go back in history and own this group of stocks three years ago. But would I want to own them after an already incredible run? Individually these stocks range from expensive to absurdly expensive. On average though, I’d have to say the valuation of the group is close to the absurd.